YAMADA Emu was born into an illustrious family of Tokoname. For generations his family has been involved in making kyusu (small tea pots) used for brewing sencha (green tea). In 1998, his father was designated a Living National Treasure for his contribution to Tokoname wares, particularly kyusu. The clay in the region, called shudei, contains much iron and is usually fired at very high temperatures. 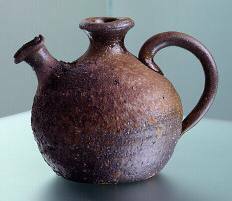 Tokoname, as seen, is well known as a teapot region in Japan. 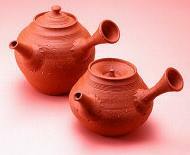 As can be expected, YAMADA's main output is teapots. 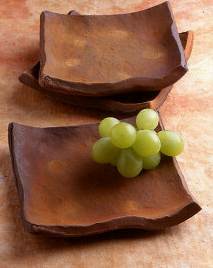 He also makes flower vessels and tableware using wood ash his main fuel for his kiln. His precious works, unpredictable due to the buildup of wood ash, the iron in the clay, as well as natural kiln mutations, will provide an insight into the traditional beauty and lead to an historical appreciation of Tokoname pottery.